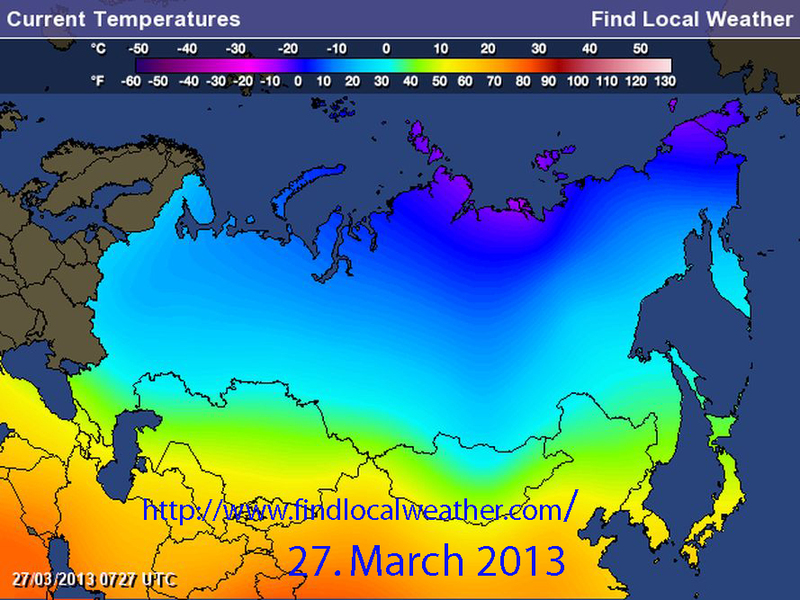 Did the cold March 2013 come from Siberia ? A not well founded claim! 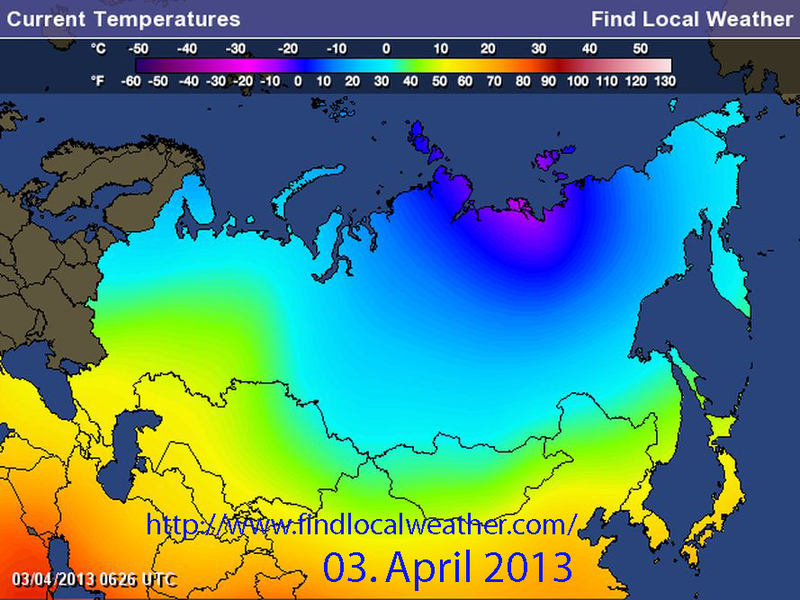 First Addendum (08 April 2013): It is cold in NW Europe, not from Siberia . Regional seas delay spring and man has contributed! 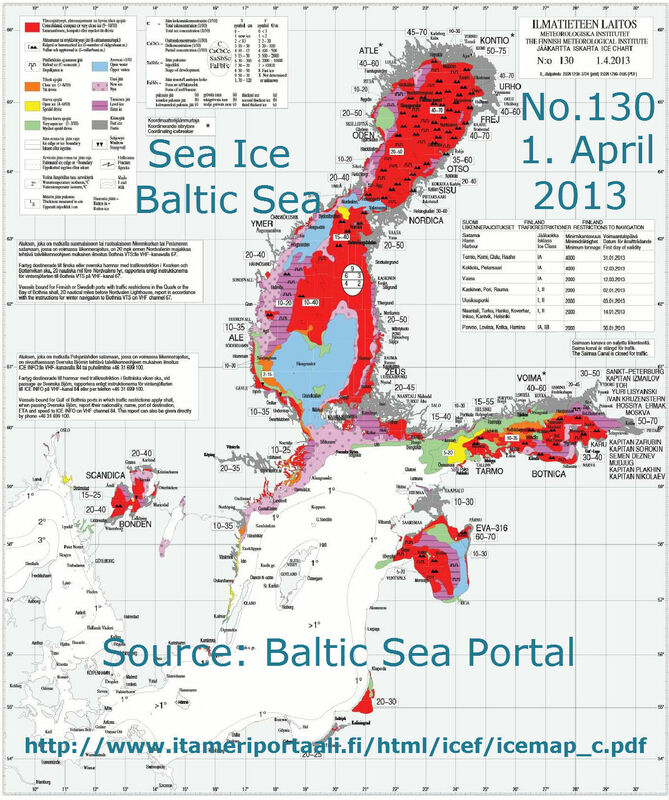 Stefan Rahmstorf (28/29 March 2013; at: Rabett Run Blog → www.sicslog.de) wrote: “The media are debating if the decrease in Arctic ice is related to this winter's cold weather in Germany . This post discusses the most recent current research about this including the most important figures from relevant studies. 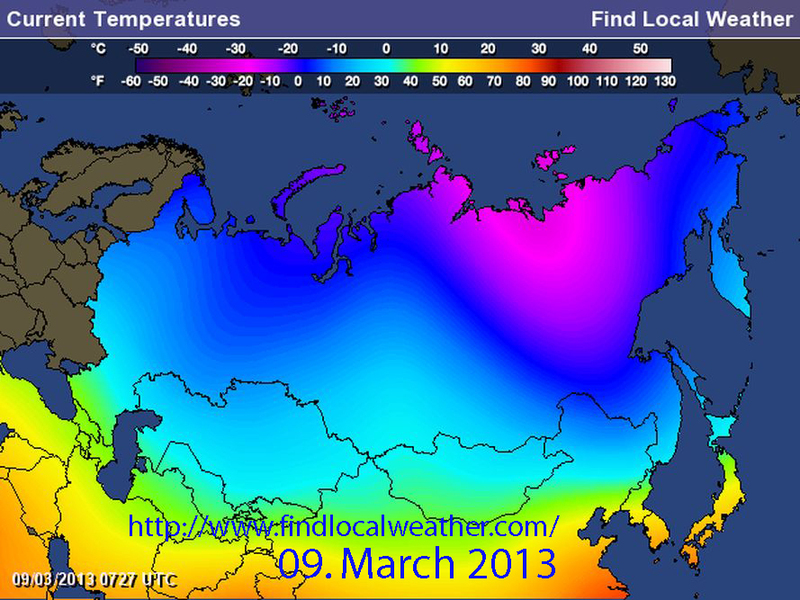 First, what does the unusual temperature distribution observed this March actually look like? 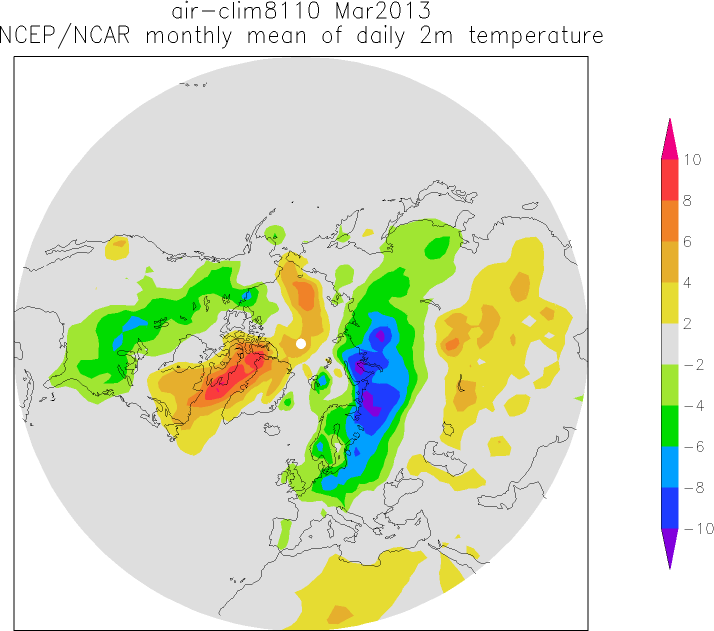 Here is a map showing the data (up to and including March 25, NCEP / NCAR data plotted with KNMI Climate Explorer): (graphic*) Freezing cold in Siberia, reaching across northwestern Europe, unusually mild temperatures over the Labrador Sea and parts of Greenland and a cold band diagonally across North America, from Alaska to Florida.“, *Fig. 1. 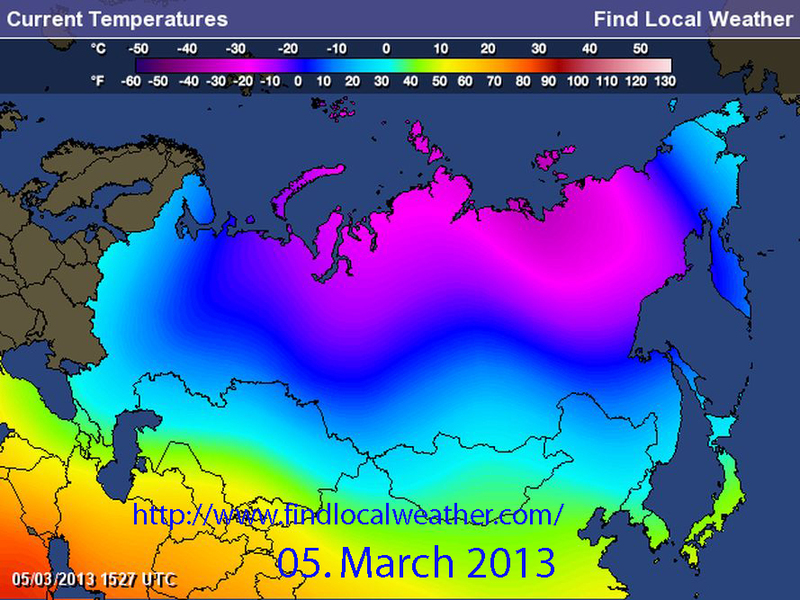 However, the “Freezing cold in Siberia ” seems to be exaggerated. Fig. 1 indicates only the mean temperature measured, but not anomalies. 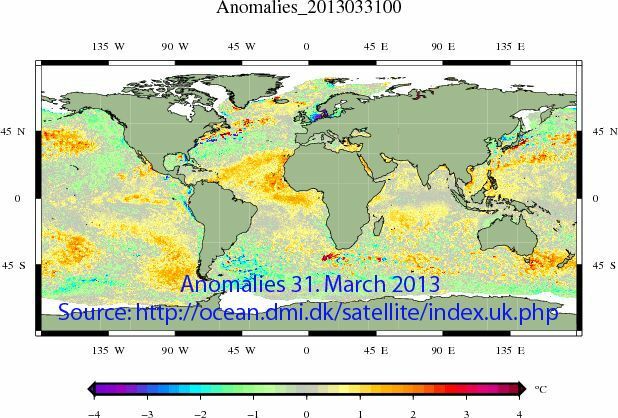 The following series of weekly T°C anomalies forecasts since 14 Feb. 2013 (Fig. 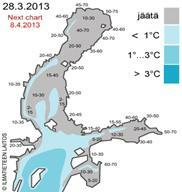 2-8) indicate only a brief cold gush in early March (Fig. 3). All other temperature map indicates a cold anomaly only up to the Ural, which means that not all cold had been coming from the East, but the cold in Western Europe was presumably supported by lower then average sea water temperature in regional and coastal sea areas. Met Office confirms temperatures of -12.5C in Scottish Highlands, beating previous record of -9.8C set in 1986. The UK has recorded its coldest Easter Sunday for more than 50 years, with overnight temperatures dipping to below -12C in Scotland. The Met Office confirmed it had registered a temperature of -12.5 in Braemar, Aberdeenshire, in the Scottish Highlands. With modern records dating back to 1960, Sunday's freezing weather beat the previous record of -9.8, set in 1986. 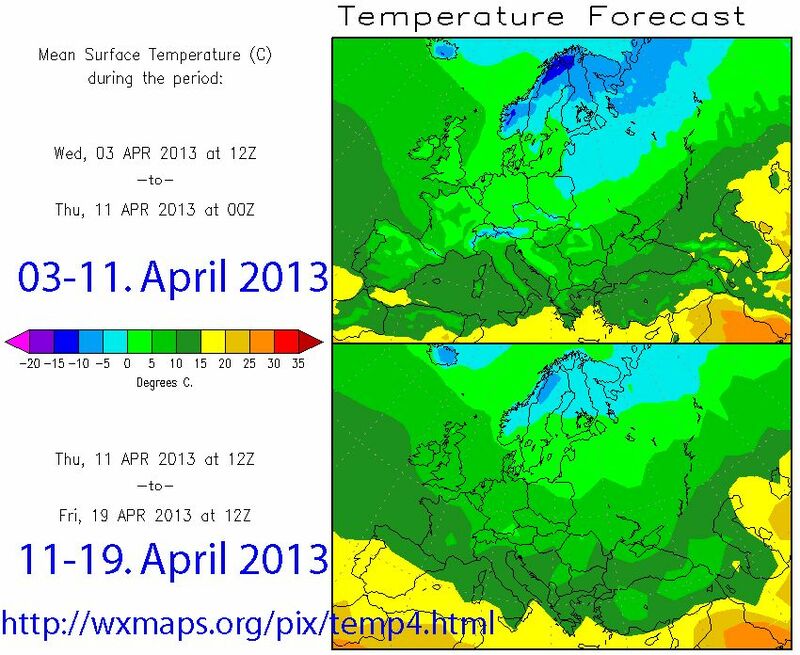 The Met Office said the month of March still looked set to be the coldest since 1962 and the fourth coldest since 1910. From 1-26 March the UK mean temperature was 2.5C, three degrees below the long-term average. Great Britain : March 2013 became a record breaker in the United Kingdom (itv-com; HERE) . 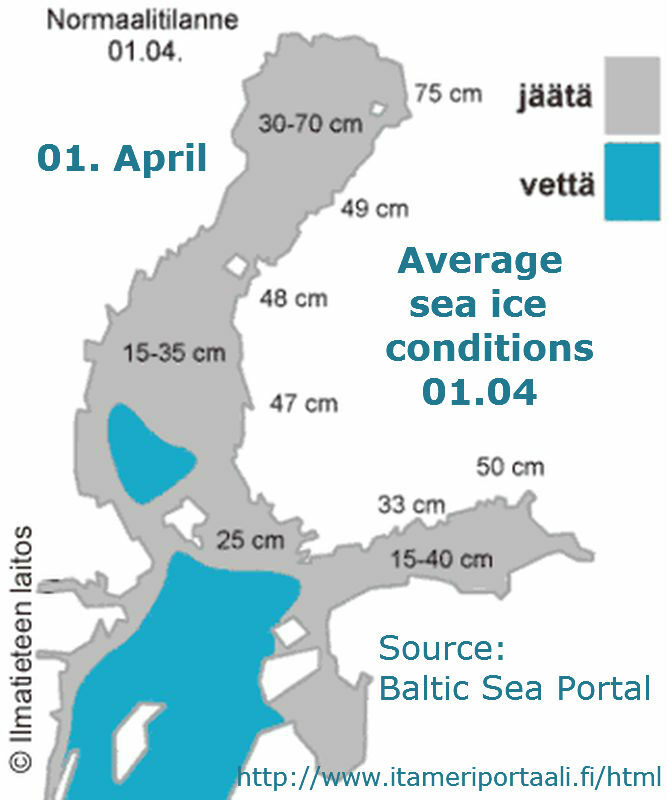 In Berlin , the DWD reported that such abundant snow cover in the final 10 days of March had not been measured since 1892. 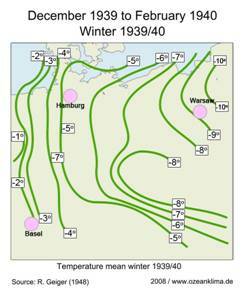 The average March temperature in the German capital was only -0,7°C (4,0°C blow normal versus 1961 to 1990). 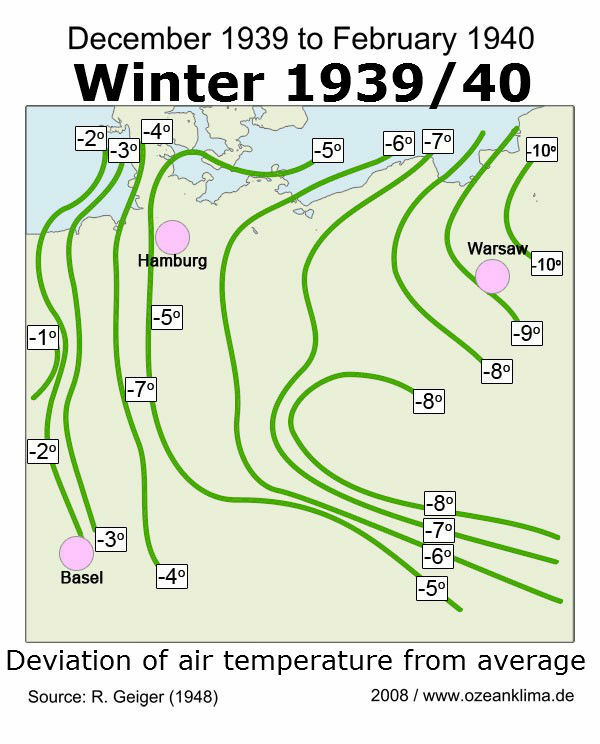 In the Potsdam district southwest of Berlin on March 24, the overnight low of -18.9ºC set a record for all-time coldest temperature ever recorded in the state of Brandenburg during the final third of March. 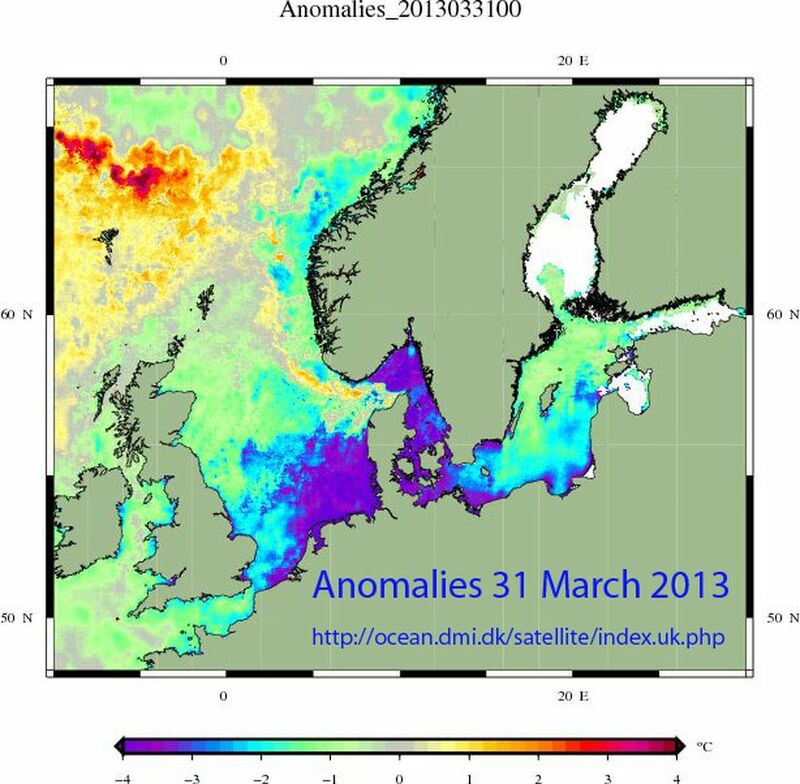 ___First half: Temperature anomalies still running at between -3 to -4C over the UK , especially the east, and below -5C from northern Germany and southern Sweden to the Baltic States . 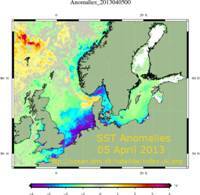 Special Presentation of Mean Sea Ice conditions in late March and those in March 2013! The top ice extent in March 2013 was on or befor the 28th of March! 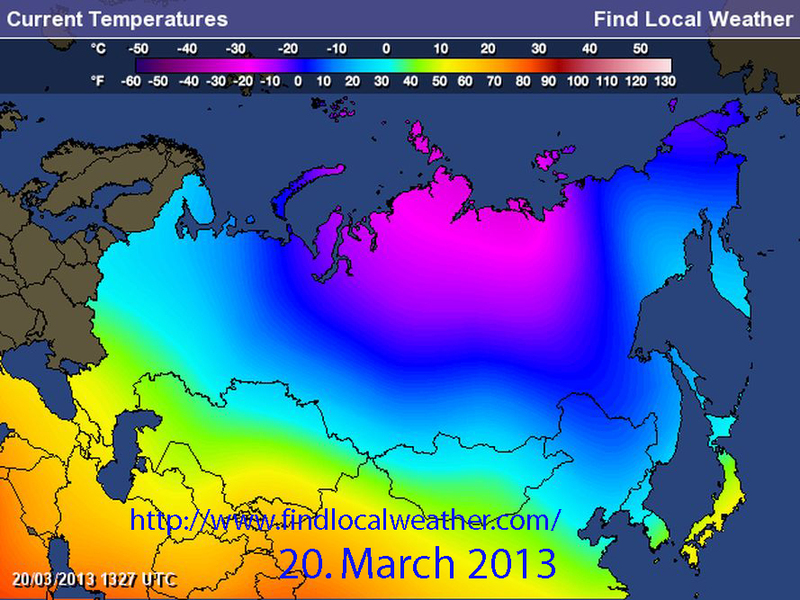 First Addendum: It is cold in NW Europe, not from Siberia . Spring could still be some way off, with temperatures remaining lower than normal for another fortnight, forecasters have warned. Unfortunately, none say anything about the reason, although it is very obvious that the southern Baltic and North Sea are far too cold for the season (Fig. 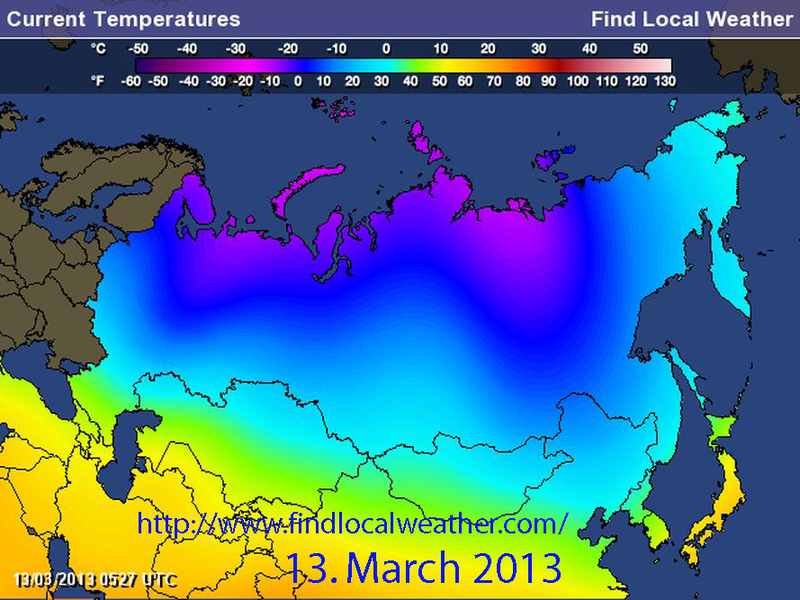 30-32), and any claim that tis is caused by cold air from Siberia, is unfounded (Fig. 33-34). 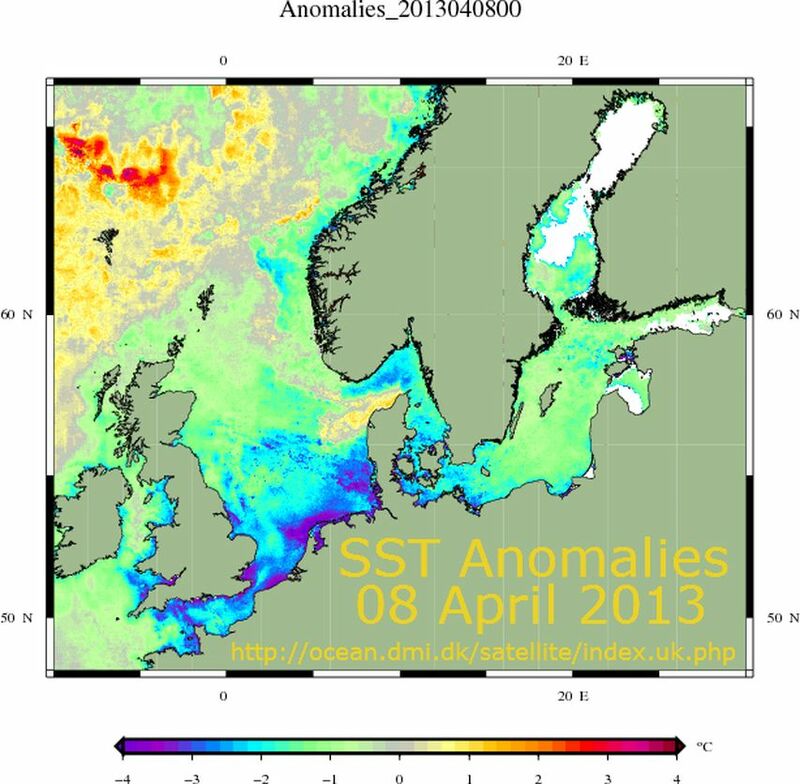 Actually, while the NE Baltic is already in a warming up trend, HERE – 4th Add. 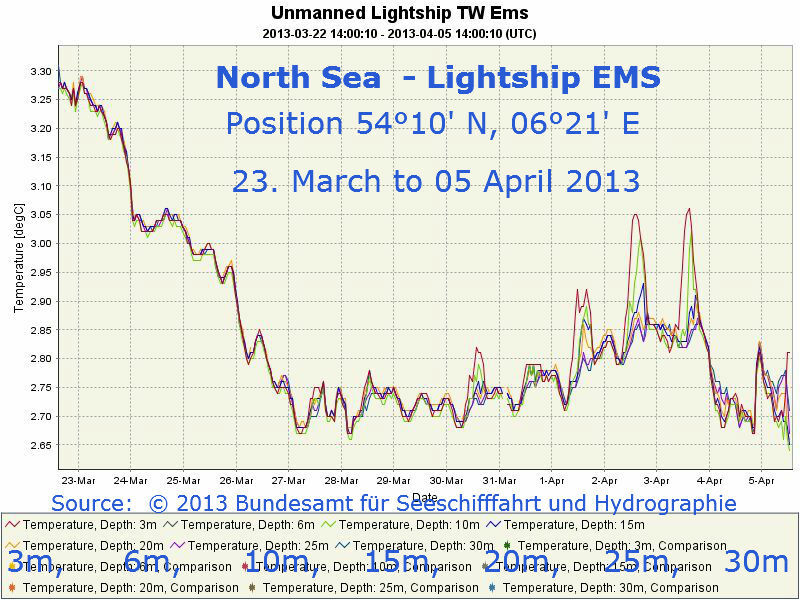 05 April, at the EMS-Station in the North Sea the temperature reached a seasonal minimum on the 5th April HERE. More important then the mere recording is the question what pushed and kept the regional seas to such low sea water temperatures. Human activities have a good chance to turn out as a substantial contributor. 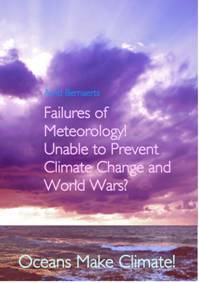 It is a big shame that science no nothing about it, and even seems incapable to see the need to investigate and to understand. 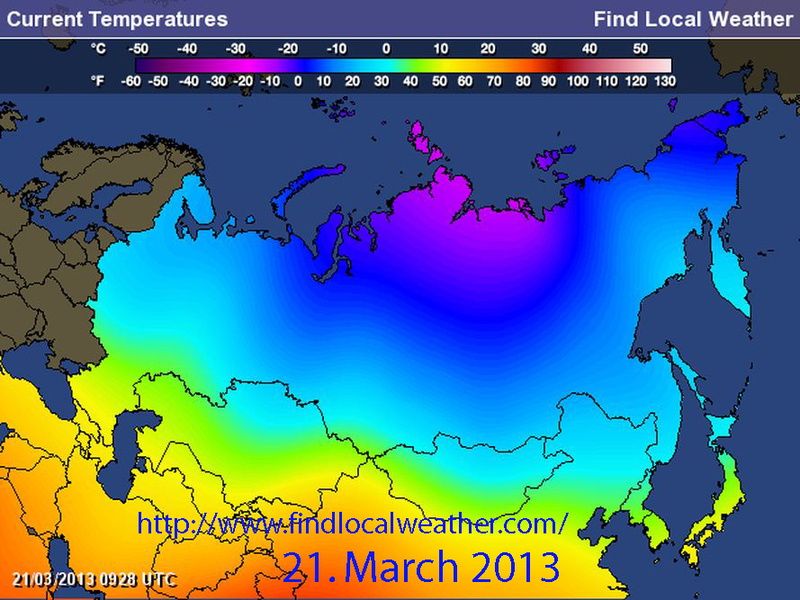 The temperature maps Fig. 15 & Fig. 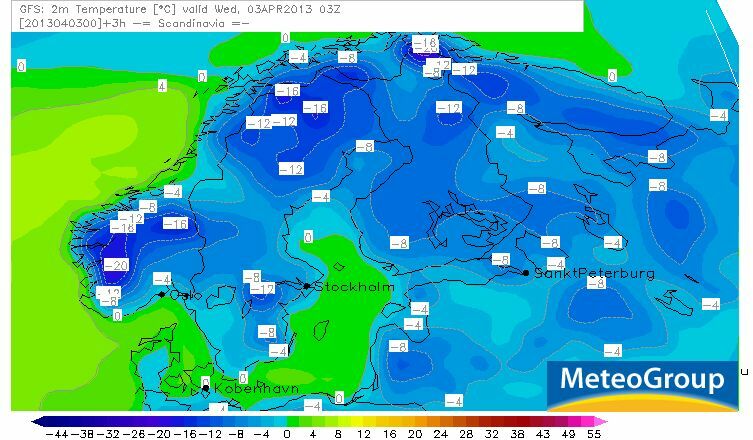 33 show clearly that the cold air conditions in Northern Europe are closely related to the very cold water temperatures. needs to be investigated and explained!